A unique and fun alternative to your hair removal experience, from fuzzy to fabulous. We also specialise in permanent hair removal for a long term result. We are delighted to be introducing our new Skinbase IPL hair reduction treatments and would like you to be one of the very first to try it. 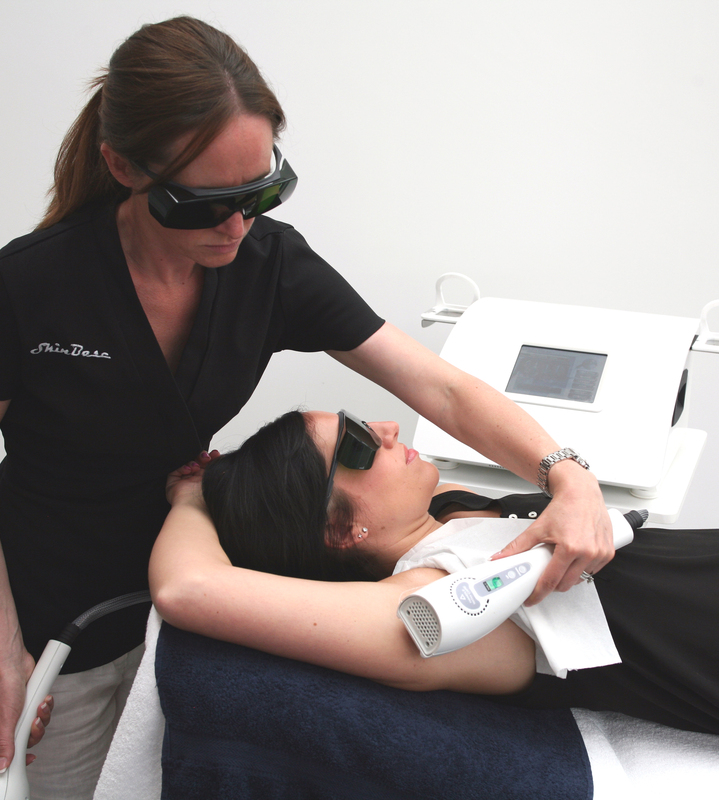 The Skinbase IPL system is a Medically CE certified system that has been independently tested and verified by one of the country's leading experts on IPL. The system features a unique cryo cooling handset making the treatment completely painless and has a large handset "spot size" for quicker, more effective treatments. We are offering you a comprehensive 20 minute consultation and patch test for an introductory price of £12.50. If you go on to have a course of treatments this amount will be completely reimbursed against your treatment fees. Offers a lasting solution to unwanted hair. Hair growth is disabled at the follicle giving a permanent reduction. Largest handpiece in the industry ensures you receive a fast, effective treatment. Unique cooling cryo-handset creates an anaesthetic effect on the skin surface to provide the most comfortable treatment experience. Most areas can be treated including upper lip, chin, underarms, bikini line and legs.